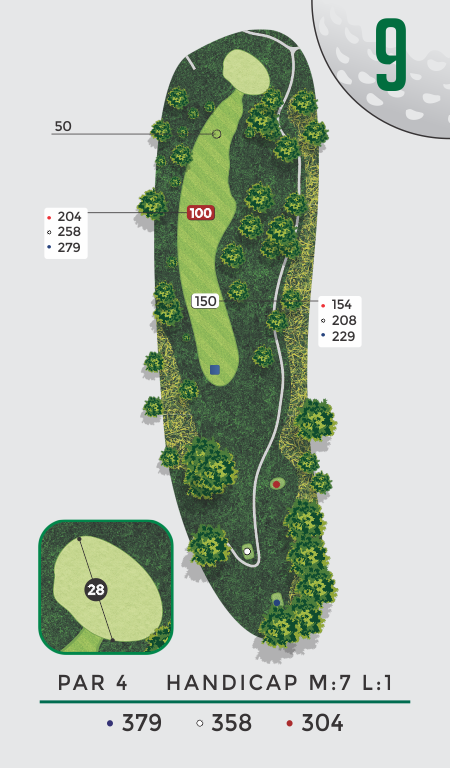 This slightly uphill 370-yard dogleg right will be very appealing for players who like to play a fade from the tee box. A middle to short iron into a large green will be the play here. The pin placement on the green can be deceiving.